All Tisoro Jewelry is from our own unique design and incorporate the finest and best craftsmanship for the special you! All our materials and metal are 100% hypoallergenic and are nickel, lead & cadmium-free. Every piece of Tisoro jewelry will last you a lifetime representing love, memory and a beautiful dream that your heart will hold forever. Tips on keeping sterling silver jewelry from tarnishing Over time, any sterling silver jewelry piece exposed to air will tarnish. Sterling silver is 92.5% silver and 7.5% other metals. It's the other metals, primarily copper, that cause sterling silver to tarnish. The copper reacts to moisture and sulfur in the air, causing the tarnishing reaction. Silver tarnishes faster in areas with high humidity and air pollution. Chemicals like hairspray, perfume, deodorant, body lotion, bleach, etc., can speed up the tarnishing process. Be also mindful to keep silver away from rubber, vinegar, olives and fruit juice. 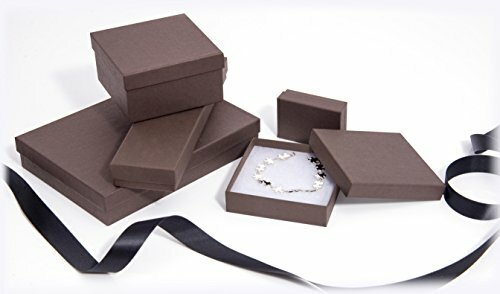 Store your sterling silver jewelry in a cool, dark place away from sources of sunlight, heat and moisture. To reduce scratching and tarnishing, store your pieces individually in small zip-lock plastic bags, removing as much air as possible. You may also want to put a small strip of anti-tarnish paper in each bag with the jewelry. Don't leave silver jewelry in the bathroom unprotected, and do not wear it the shower, swimming pool or hot tub. Humidity and moisture can make tarnish appear faster! After taking off your silver jewelry, clean it with a dry soft cloth, or polishing cloth, before putting it back into an airtight container. If the polishing cloth doesn't remove all the tarnish, wash silver jewelry (without gemstones or pearls) in warm water with a few drops of mild dish washing liquid. Immerse the sterling silver in the water and gently hand wash. Use a cotton swab for tight corners, or soft baby toothbrush can be used for more abrasive cleaning if needed. Rinse thoroughly. 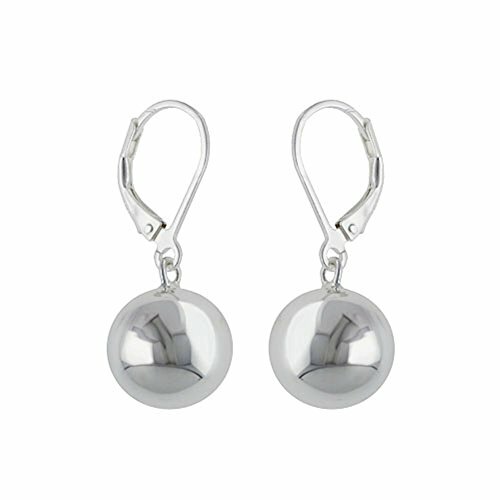 ♥ SILVER LEVERBACK BALL EARRINGS ♥ perfect for anyone & everyone. These small to medium size sterling silver dangle earrings are affordable and comfortable for everyday wear. ♥ EARRING DETAILS ♥ These sterling silver dangle ball earrings come in a diameter of 10, 12 or 14mm [.4", ½" or .55"]. Super Lightweight at 3.2, 3.6 or 4.6 grams for the pair. Leverbacks for an easy drop. 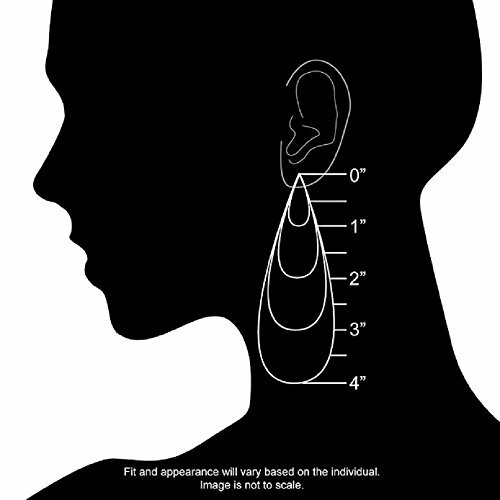 ♥ 100% HYPOALLERGENIC / NICKEL, LEAD & CADMIUM FREE ♥ The quality of .925 stamped sterling silver drop earrings contains absolutely no nickel, lead or cadmium; making it safe for people with these allergies and/or sensitive skin. ♥ GIFT ♥ BOX INCLUDED♥ for these silver drop earrings. Gift it to your Sister, Daughter, Wife, Husband, Mother, or Treat Yourself! Perfect for a Birthday, Holiday, or special event. ♥ SATISFACTION GUARANTEED ♥ Customer satisfaction is our first priority and we are confident you will love our jewelry, that's why our product is backed with a 100% money back guarantee. If you are unsatisfied in any way with this product, we will refund your money - no questions asked. It is that simple! 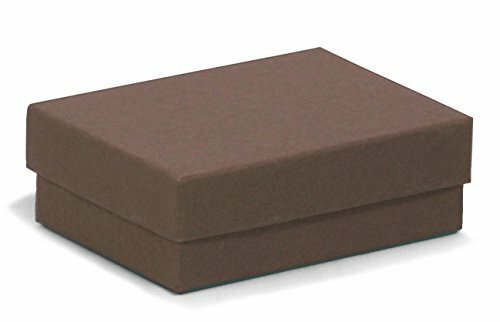 Ships directly from the USA through Amazon FBA. If you have any questions about this product by Tisoro, contact us by completing and submitting the form below. If you are looking for a specif part number, please include it with your message.